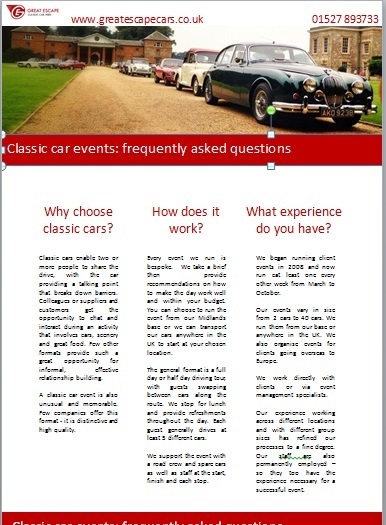 Classic cars add an extra dimension to any celebration - if you're planning to getaway with a group of friends we can help. We regularly provide cars for private groups from our Cotswolds sites and prices start at just £75pp - less than the price of a half-decent B&B. Whatever your plans and however many people are in your party, we can tailor make a package specifically for you. 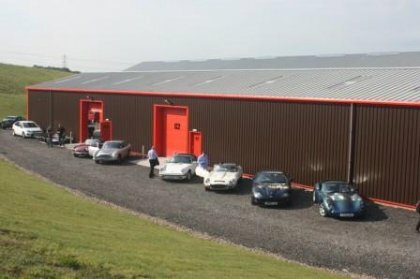 You choose the cars you want and if you wish we can provide a route and organise accommodation too. We also offer a delivery and collection service. 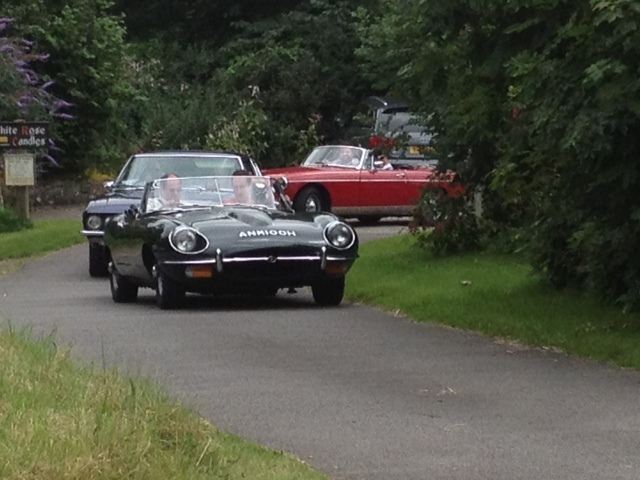 Our classic cars are a popular activity for boys' weekends away, ladies weekend getaways, stag dos and family gatherings. 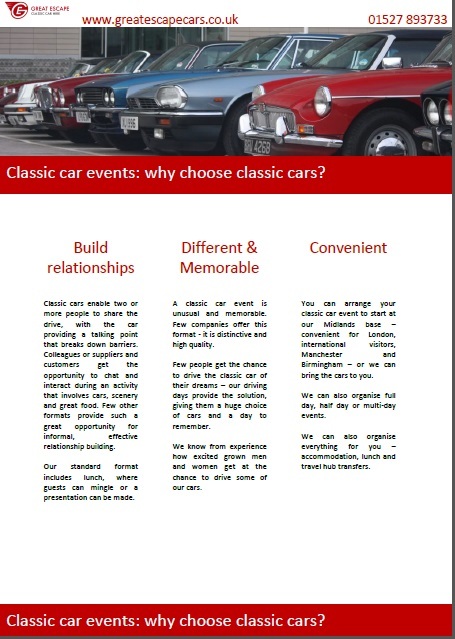 To find out more call 01527 893733 or email graham@greatescapecars.co.uk.